Autumn calls for a new pumpkin muffin recipe! Bites of Granny Smith apple perk up this spiced pumpkin muffin perfect for all your fall breakfast needs. I’ve blogged more lately, and I like it. I’ve always enjoyed blogging, but I finally realized that I go so long between posts because I have nothing to say. Or, at least nothing I think is of value to say. I’m constantly cleaning up the word mess I made those first couple of years. There was a lot of me-me-me making noise because that was the only way I knew how. Still, I wrestle with what I should say. Some food blogs just talk about the food. Which, duh, but I prefer to give you a little taste of life too. 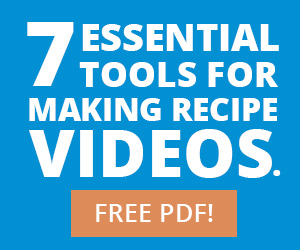 If all you are after is the recipe, well, allrecipes does a pretty good job. I want to share things that you want to read. Things that make you smile or think about something in a different way or that just make you feel good about choosing this place to spend a few minutes of your time. Promise me you will never care about the contents of my refrigerator or my latest grocery store haul. The problem is, I prefer to observe. To take more in and put less out. Ask my mom. I’d say her number one complaint about raising the teenage me was, “You never tell me anything!” It’s not that I was keeping secrets; it’s just that it literally did not occur to me to tell her about those anythings. Aside: I don’t think that’s such a terrible complaint. I think my parents could have had it a lot worse. In fact, one regret I have is that I was too well-behaved as a teen. If I had to do it all over again, I would have raised a little more hell. My parents still would have loved me, right? Back to the problem at hand. I prefer to observe. Take more in and put less out. I’m much more interested in LIVING my own life than in curating a pretend one. I’m afraid we’ve gotten way too good at stumbling our way through the 16-gazillion social media channels we have at our fingertips versus just taking it all in. At enjoying the experience. Sometimes this leads an introverted, introspective person like myself to shy away from working together. I think I can figure it out myself. Oh, that reminds me of another thing! About this time last year, we had some family pictures taken. The photographer was asking those things photographers do to help their subjects loosen up. She asked my mom who was tougher to raise, me or my sister. Instantly, my mom pointed to me. To me! My sister got it right; she raised some hell during her teenage years. And then my mom, without hesitation, picked me?! She later explained that I was more difficult because “you didn’t need me as much.” Awww, Mom. So, the problems again: always observing and never participating. I like to blab on about how I like blogging because of the sense of community, but I’ve relied too much on that community coming to me. Now, I’m seeking it out. This will probably always feel a little awkward to me, but I’m doing it. 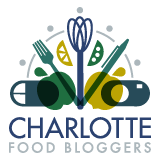 I’ve got the Charlotte Food Bloggers and Food Blogger Pro and a small group of real-life and virtual blogger friends who support each other. It’s better with these people. Still, creating in this space does not come easy. I wish more people would come visit. Not so much out of vanity (although I’m sure that plays a small role), but because I want this to be a good place to visit. So far, I’ve failed. Or I’ve succeeded at keeping one hell of a secret. Do you know how hard this is? It’s HARD. It would be much easier to write about what’s in my refrigerator or tell you about my Trader Joe’s haul. Plus, as much as I love y’all, I don’t have the hours upon hours it takes to grind these posts out every night. Now, how about some muffins? You’ve earned it. There are already a few pumpkin muffin recipes tucked away among my posts, but here is a new one you can enjoy this fall. This pumpkin muffin is studded with bites of Granny Smith apple, but you could go your own way and add chocolate chunks or your favorite nut or anything autumn you want instead. Light, spiced, and sweetened with maple syrup, they are kind of perfect for this time of year. I appreciate you being here. Enjoy! Whisk together the all-purpose flour, whole wheat flour, ground cinnamon, baking soda, salt, nutmeg, and ground ginger in a large bowl. Set aside. In a separate bowl, stir together the pumpkin puree, maple syrup, oil, eggs, and vanilla extract until smooth and well combined. Stir the diced apple into the large bowl of wet ingredients, then pour all of the wet ingredients into the large bowl of dry ingredients. Allow the batter to rest for 10 minutes. Meanwhile, make the streusel topping. Stir together the flour, brown sugar, and salt. Cut the cold better into small pieces and rub it into the flour, sugar, and salt mixture until it starts to form a crumbly dough. Stir in the chopped almonds. Scoop the muffin batter into the wells of a paper-lined muffin tin - filling nearly to the top - and generously sprinkle with the streusel topping. Bake at 400 degrees F for 20-25 minutes. A toothpick inserted into the center of a few muffins will come out clean when the muffins are done. Allow to cool in the muffin pan for a few minutes until cool enough to handle, then transfer to a wire rack to continue cooling. Unlike most baked goods that taste the most divine soon after they come out of the oven, the flavor in these muffins is actually better the next day. The muffins also keep well in the freezer. Pecans or walnuts will also work well for the streusel topping if you prefer them over almonds.